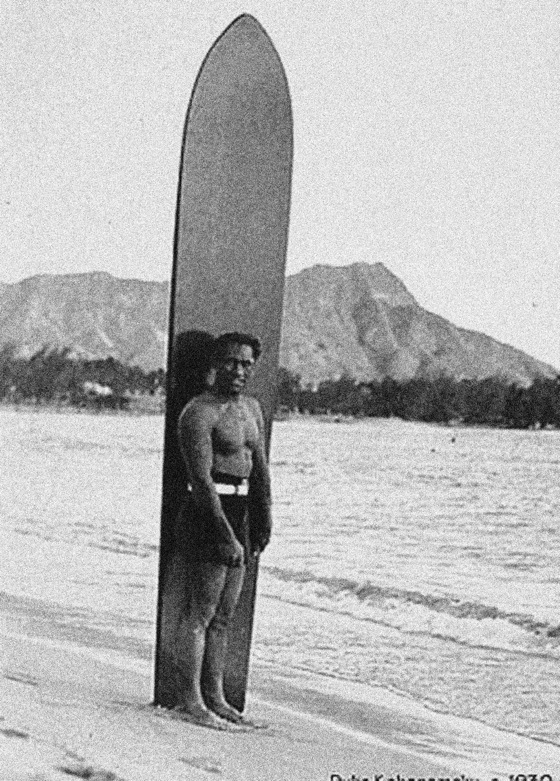 Before there was the likes of Kelly Slater, Laird Hamilton, Wayne “Rabbit” Bartholomew or Eddie Aikau, there was Duke Kahanamoku. “The Duke” is known as the father of surfing, as it was Duke who helped to take the sport of surfing around the world during the 1910s. 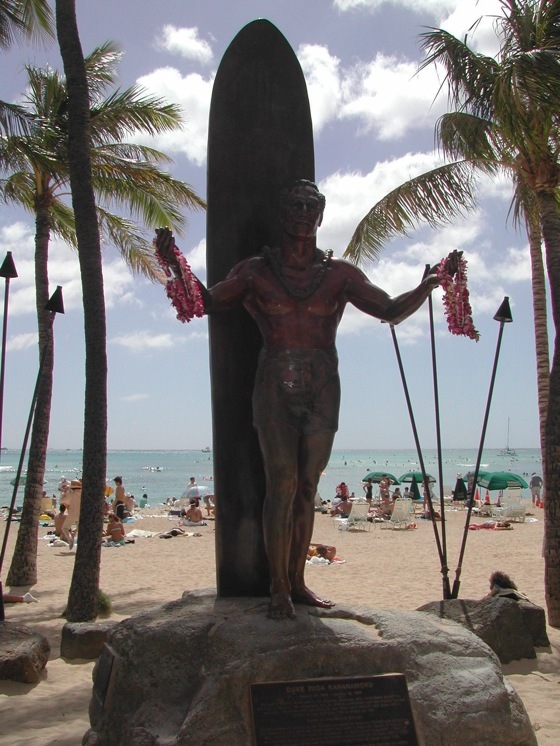 Born and raised Hawaii, Duke grew up in Waikiki and learnt to surf in the gentle waves of Waikiki Beach. Surfboards looked a little different in Duke's time in comparison to what we are used to see carving the waves of today. At the turn of the 20th century traditional techniques were still in place, and surfboards were shaped out of trees, creating massive 16ft boards that could weigh anything from 100lbs and up. Duke learnt to surf on these huge long boards, riding waves with a grace and poise that is now only really seen in the longboarders today. 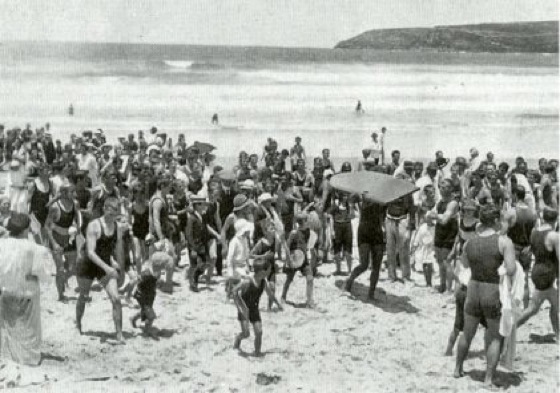 During the 1910s and 1920s the Duke did more for the sport of surfing than anyone throughout history. The Duke was a phenomenal swimmer breaking world records and winning medals, today's equivalent would be Ian Thorpe or Michael Phelps in this era. Duke not only qualified with ease for the American Olympic swim team, but took the Gold medal in the 100m freestyle at the Olympics in Stockholm in 1912, then again in 1920 in Antwerp. He also was part of the American relay team that took the silver in the 4x 200m freestyle relay in Stockholm in 1912. The team went on to win the gold medal in Antwerp in 1920 and in 1924 in Paris they won the silver in the same event. Duke's contributions to sporting and swimming history earned him a place in the swimming hall of fame, but also enabled him to travel the world giving swimming demonstrations. It was through these swimming demonstrations that he began to introduce the world to the sport of kings. Almost unheard of outside of Hawaii, surfing was a revolutionary sport for the spectators that witnessed the Duke's demonstrations. 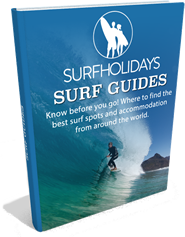 As he travelled to California and Australia, he would demonstrate surfing his longboard and so inspired entire generations to try for themselves. He literally brought surfing to American and Australian shores. Throughout Duke's life he was an ambassador for the sport of surfing, always prioritizing surfing even above the Olympic medals he'd won in swimming during his youth. 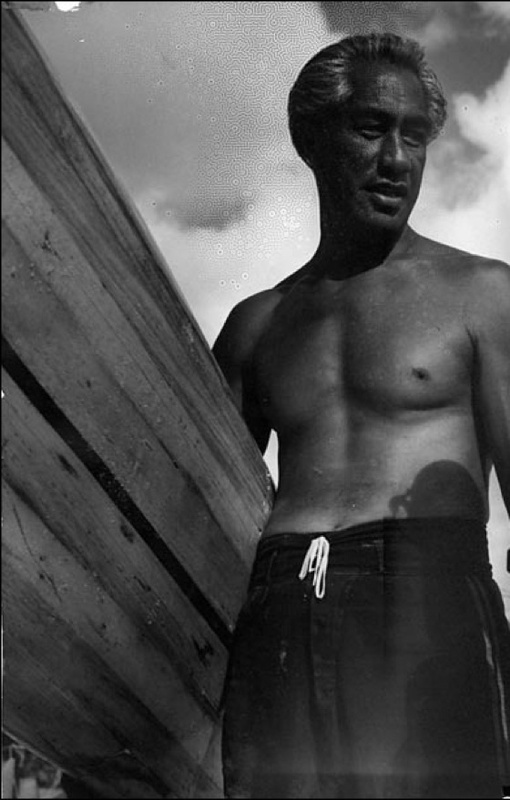 Duke died in 1968, yet he is still remembered for how he took surfing around the world. There is a memorial statue on Waikiki beach of the Duke that millions of tourists visit every year... and the statue is constantly covered with leis.